Happy Monday, yinz! 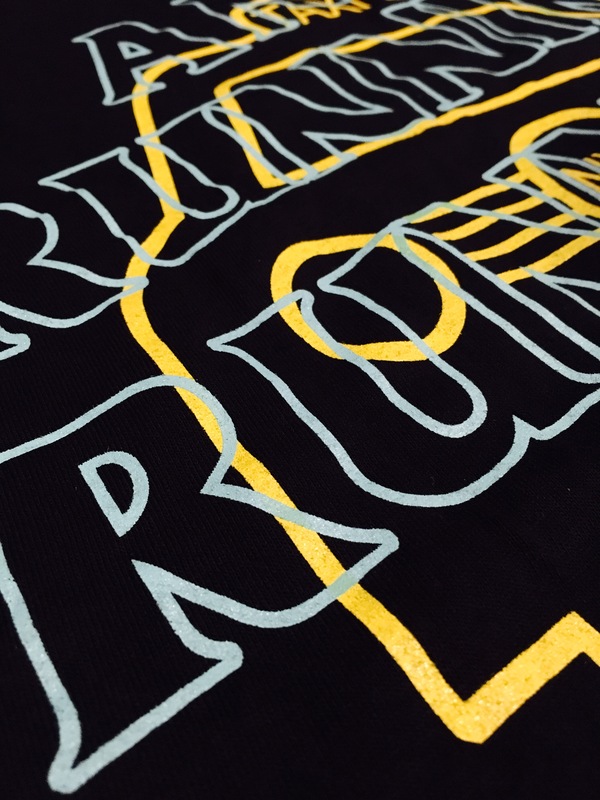 Today’s #MERCHMONDAY involves one of my favorite – and most consistent – rappers out there. My dude 2 Chainz. 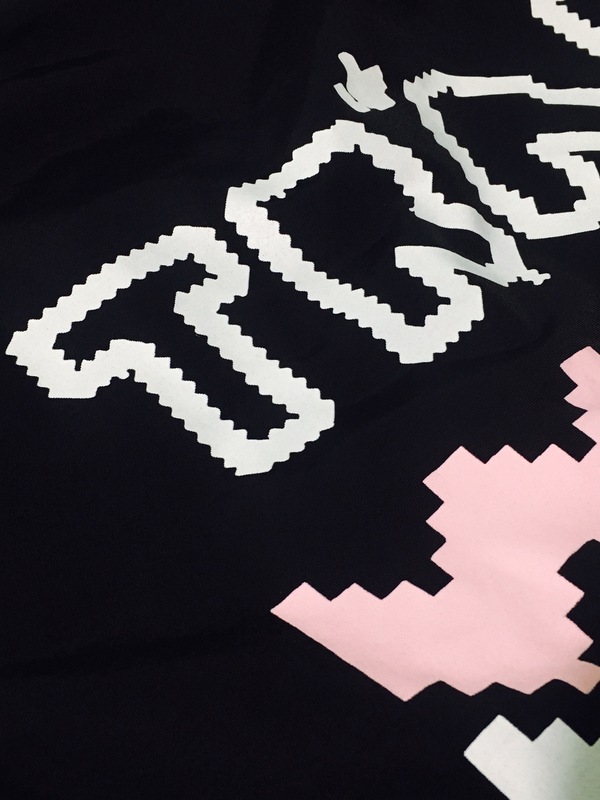 Not only is his music fire, but he also knows what he’s doing when it comes to #MERCH. 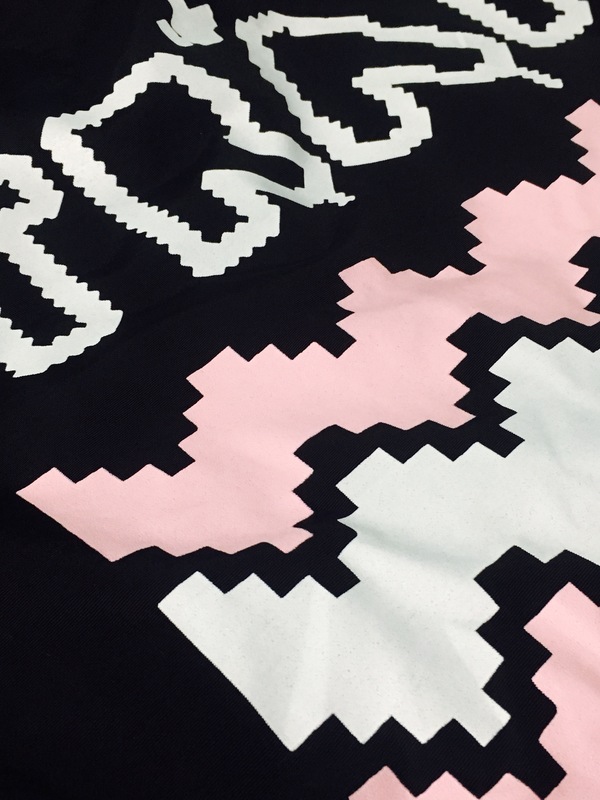 Unfortunately, the 2 Chainz Shop is currently unavailable, but when it’s live… it’s live. You can visit his actual site here in the meantime. Since 2015 and around Christmas time, he’s been selling the Dabbing Santa sweaters where a handful of proceeds go to fundraisers and others in need. He’s raised well over $2 million from that #MERCH. So great. More info on that line of #MERCH here. This past holiday season, he launched a new line of clothing. One was a Christmas sweater print inspired coaches TRAP jacket, which is what I purchased after a few glasses of wine in, obviously. Today is my first day wearing it, and I love it. 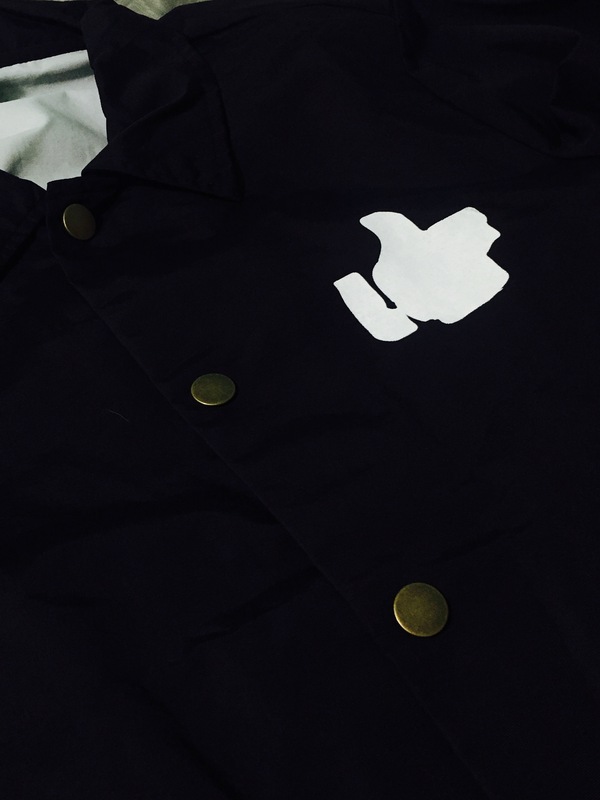 It’s also the perfect day to wear this jacket since it’s raining in LA, and the material is made for such weather. Check out each individual image below to get a closer look. Quality: When I first took it out of the package last night, it was a little stiff. So I hung it up over night, and luckily it softened. And as I mentioned before, it’s great material to wear in the rain. So far so good! 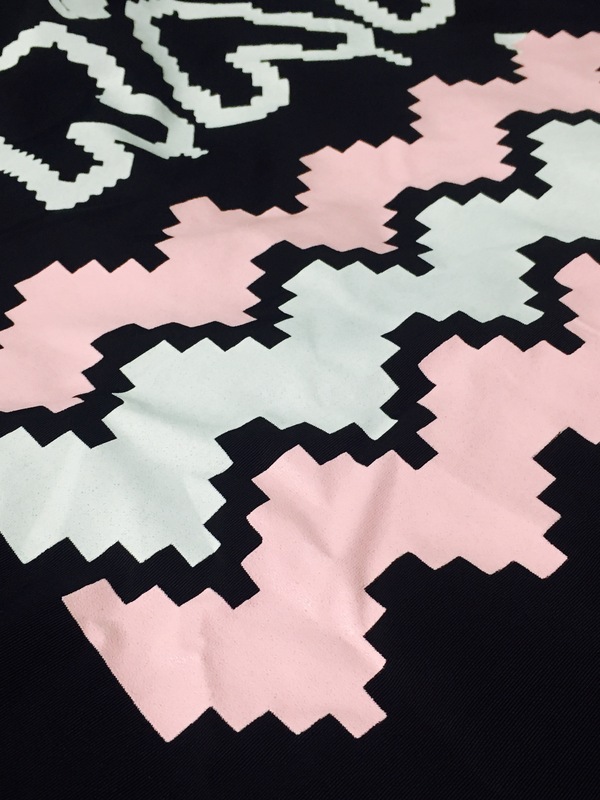 Design: Less is more when it comes to #MERCH. And this jacket fits that mold. 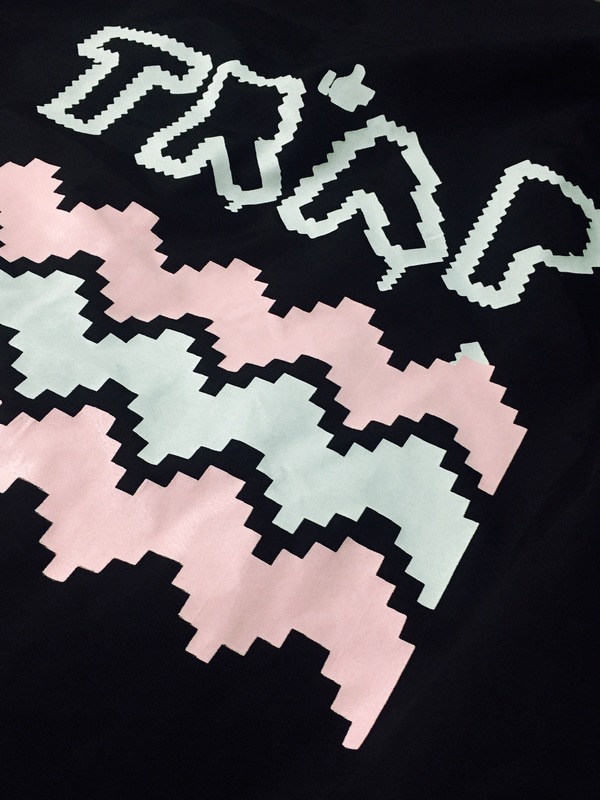 The black exterior with the small white logo on the front and then the “sweater” print in black and light pink on the back is great. Perfect for men and women to wear. I will say though when I first saw the logo on the front, I thought it was misshapen. Then after a closer look and also seeing it on the back, I realized it’s a thumbs up. Phew. Didn’t want to have to send that back. Cost: I paid about $50 for this jacket, and that included shipping and tax. I know I’ll get a lot of wear out of this, so I think it’s a all-in price. 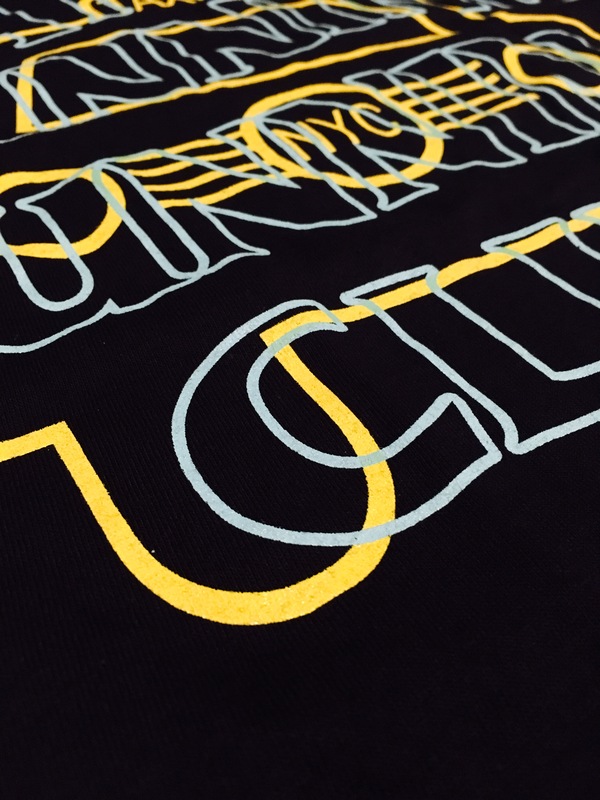 Overall, I’ll continue to support 2 Chainz – both in the forms of concert tickets and #MERCH. Photo of 2 Chainz wearing his “Dabbin’ Santa” sweater by Joseph Moore. Yinz! First of all, I hope you had a great week. Secondly, wait until you see this #MERCH I recently received. It’s super cool. Super unique. And for a super good cause. Let me tell you about this organization before I jump into this #MERCH. One of my longtime friends, like have known since elementary school long, is the co-founder of United Underdogs – a company that works with sports organizations and fans everywhere to protect our environment and improve lives globally. They partner with brands to not only inspire a global sports audience but more importantly to impact the world’s most pressing social and environmental issues. It’s a pretty dope concept. And what makes this organization even more dope is the fact that they have #MERCH, or as I like to call it – #GLOBALMERCH. You can purchase a piece of handmade #MERCH – in this case a unique artisan gift – to support. Upon purchase, Underdogs United will contribute one carbon credit – their funding mechanism – to their clean cookstoves project in East Africa to help those breathe cleaner air and save trees from deforestation. I love this whole entire concept and the #MERCH. Thank you again, Steve… and to the entire Underdogs United team. Appreciate what you guys are doing! Hope yinz had a great weekend! I was busy running around the insanity that was ComplexCon down in Long Beach, CA. I have v. mixed feelings about that whole scene, but we aren’t here to talk about that right now. Let’s focus on #MERCH because it is #MERCHMONDAY. 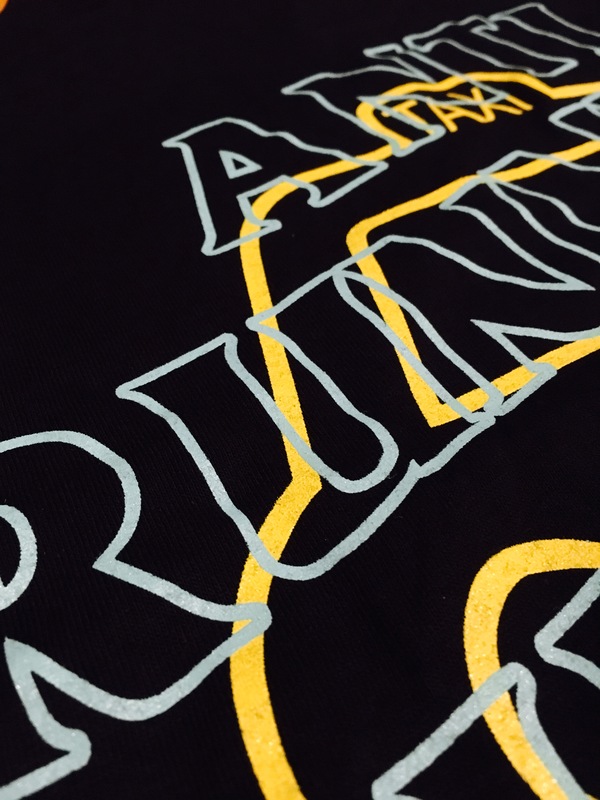 Last week I was gifted the following fire – an Anti Running Running Club t-shirt. Like are you kidding me? You know I don’t run, so this is the perfect piece of #MERCH for me. 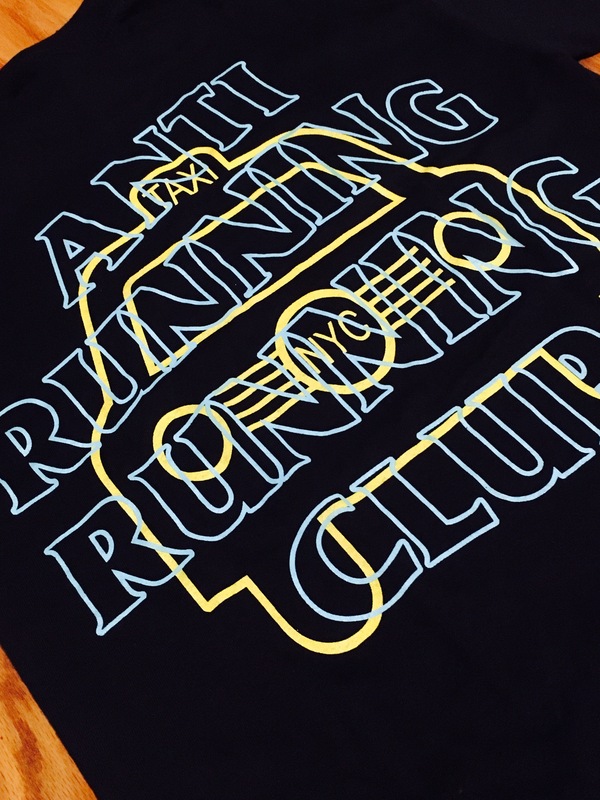 Yes, I understand it says “running club,” but like it’s anti. It makes sense to me so that’s all that matters. Major shout out to the good people at @nevernotbootleggin and especially Hector for this one. THANK YOU. Quality: It’s solid! It’s a Gildan tee and those have always held up nicely for me. 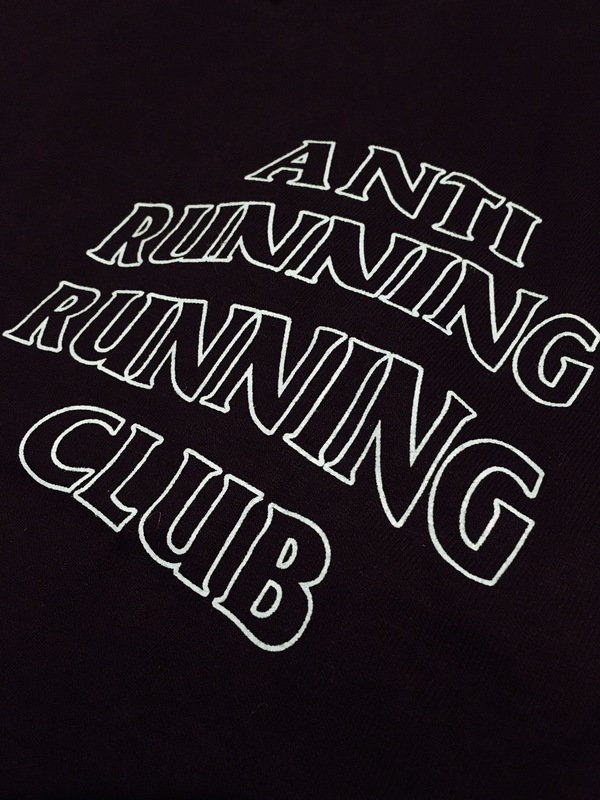 Design: Those of you familiar with this logo and design should already know it’s a “bootleg” version of the Anti Social Social Club. I’ve always been a fan of the look of that brand – it’s super recognizable but also clean. Cost: This one was a gift, but it does retail for $30 which is pretty average for a t-shirt. Definitely worth it. Buy it here! I also customized my own piece of #MERCH, courtesy of the JanSport booth at ComplexCon. Check it on my IG. So many of you may know about our annual 4th of July trip to Catalina. For those of you who don’t, I highly suggest you watch the video below. I mean, even if you are aware of the trip, you should still watch it. We are boarding the beautiful Miss Mandy once again this weekend – leaving early Saturday morning and returning on Monday. Fourteen, yes 14, of us will be on board, and I just really cannot wait. The weekend will consist of lots of Coors Light, Coronas, epic music, comedy courtesy of The Donald, and most importantly good company. Major shout out and thank you to the Trojan family for organizing this every year and allowing a bunch of rowdy folks to get on your boat. Alright, no more typing. Watch below! Oh, and it’s #SocialMediaDay. Every day is honestly social media day but today is the day it’s being celebrated on social media – how ironic. I know I promised this post Monday night, but #fail on my part and it’s here two days later. There has just been a lot of things happening fam. #DenimDenimDenim | On Saturday night about 35 of us rolled deep in denim for our annual denim-themed event where we all dress in denim (obviously) and bar hop in Long Beach by way of Big Red (a double decker giant red bus). I purchased my outfit that morning (see below) and in addition to denim, I had to rep the late Notorious B.I.G. as it was his birthday. One word to describe the night? Reckless. Seriously it was one of the most fun nights I’ve had in a while and definitely my favorite denim to date. I won’t get into exact detail of our shenanigans (that’s actually the name of one of the bars we went to), but let’s just say everyone was loving each other and the beverages were flowing. While it doesn’t seem like much, a lot was going on over the weekend not only with my plans but in the music world as well. Stay tuned for a post coming soon (not putting a day on this in case I #fail again) featuring new music. Hope yinz are having a good week! Happy #InternationalWomensDay to all of the women in my life. Seriously, I’m so #blessed to be surrounded by such positive, hardworking, and inspiring ladies. I’d love to introduce you to some of them :). Woah. Talk about boss ladies and motivational women. I’ve been following these two on social media for quite some time now – Karen Civil longer (and have had the pleasure of meeting her a handful of times) and have learned so much from them. Both making moves in their own ways, they have taught me about a strong work ethic, never giving up, following your passions, and asking for what you want. Seriously, I go through most of my days thinking, “What would KC or Julz do?” Karen is more private on social platforms but having heard her speak at women empowerment workshops and brunches, I really find myself connecting with her. She felt there was a bigger world out there for her other than her small New Jersey hometown, so she got offered a job at Beats by Dre (no longer works there) and moved to LA. I believe she’s also in her fourth or fifth year of living out here – I’m entering my fifth :). And not only that, she truly built her brand from the ground up and is just so epic. As for YesJulz, who I’ve been mentioning a lot lately, she is way more open about her life. It’s nice to see a well-known figure share the ups and downs. She is #NeverNotWorking and her goal of bridging the gap between cool and conscious is definitely something I vibe with. Thank you both. These are my girls from Westminster College who helped make my four years there so special and wild. While we were all very close in school, I truly feel we are closer now, and we are all over the place. Drabik is about to start that married life in September, and I am honored to be part of her big day. She’s also crushing it in the business world and her sarcastic ways give me life. So flirty. Jilly (get sillayyy) always brightens my day. And I can’t wait to see her in September at Lindsay’s wedding and for another epic life happening ;). MeagO is crushing it in NYC! Seriously, she’s taking the PR world by storm, and I’m so proud you followed your dreams and moved to New York. And it’s an extra bonus when she has to fly out to CA for work and adds on a few extra days to hang with me. And Miss Jamie. I had the honor of being in her wedding in October. I’m inspired by your organizational skills and hard work ethic, and you are truly one of the most thoughtful people I know. And so pumped for you that you got a new job. Exciting stuff all around! This is not a joke. I grew up with three lovely ladies named Natalie. I went to preschool and onward with one, 1st grade and onward with another, and then the other Nat came into the picture in the 3rd grade. We all go way back, and it’s honestly like no time has passed at all when we see each other. One is a very successful lawyer who is my boo/BFF, the other is a nurse saving lives in San Francisco, and the other is doing her thing as a mental health therapist in the Burgh. I love these three so much. They are the perfect mix of sarcasm, peppiness, and intelligence. Hope to see yinz sooner than later! These four women are my life! Without going into essentially another blog post, these ladies have shaped me into who I am today. 100%. From their hard work ethics, kind hearts, loving nature, to hosting a gathering to their talents in the kitchen and more, I can only hope to be a mixture of all four when I grow up! No, I don’t consider myself completely grown up yet. ❤ And PS – I need a group picture!! I know I’ve highlighted these ladies before in posts, but I can’t say it enough. They have made and are making my time in California SO epic. From inspiring me by their studious ways in grad school at USC to teaching me how to be dedicated to a project or passion to finding the good in everyone to making me laugh so hard I nearly cry to embracing one another for our weirdness (a requirement for this group) and more, I am so so so grateful for all of you. And although now some of you are no longer in CA and one is about to head east, I can’t wait until we are ALL reunited again. So happy International Women’s Day to all the fierce and fabulous ladies out there. Finally! My birthday recap is here. I really think that this year, my 27th birthday, was my favorite by far. I’ve had a lot of epic birthdays from surprise trips on Miss Mandy to droppin’ it low at Greystone Manor. But something about this year was extra special. And seriously none of my birthday celebrations would have happened without the help of my friends. My best from the west arrived in LA! I haven’t seen Bre since last May when she moved back home to Philly, so you know I was too excited to see her. My girlfriend Sydney arrived at Agatay for what would be the start of a pretty raucous evening and weekend. I bought tickets for Syd, Bre, and I to attend YesJulz‘ first-ever LA party. Who is YesJulz? She’s a 25-year-old bo$$ chick who lives in Miami and is #NeverNotWorking. Seriously, that’s her motto, and if you follow her on Snapchat (#YesJulz – you should really follow her if you don’t), you would see she is always making moves and empowering those around her. Definitely one of my inspirations. The party was downtown LA in a warehouse. The three of us were definitely the only sober people in the whole venue. We proceeded to make our way to the very front. I’m talking basically on the stage. I had to see YesJulz up close. Cut to epic DJs, a Hit Boy performance (he’s produced songs for Kanye), followed by a complete surprise guest… Wiz freaking Khalifa. A true #californyinz moment. Please just watch the video below. Words won’t do it justice. And he premiered his new track, ‘Bake Sale,’ with Travi$ Scott, which dropped today! We made it back home around 2:30am, showered off the smell of sweaty people and booze and went to bed around 3am. My alarm goes off at 6:00am, and I was nearly in tears due to lack of sleep. I think that’s a worse feeling than being hungover. If you’re hungover, you can go grab a spicy chicken sandwich (#6) from Wendy’s and you’re good to go. But if you got just a few hours of sleep and have to be somewhere like WORK… well then you’re sort of screwed. Anyways, I made it to work and was actually quite productive. Plus I took a half day, so I guess I’m just being a little dramatic. Syd, Bre, and I hung out and napped for the remainder of the day into the night. Mac and Wally came over to chill. And then I got the best surprise I could have EVER asked for. Megan came home from dinner, walked into the house, and KYLIE APPEARED. I started crying! Videos to come. It was truly the best. We popped some champagne and called it a night. After I told people I was hosting a Drake themed party and they rolled their eyes and chuckled at me, everyone would ask, well what does a Drake party entail? My answer: Etsy. From cupcake toppers to banners to balloons and even my outfit, they have everything Drake. See to the left. Shout out to all of the wonderful stores and sellers on Etsy who supplied my Drake party with all of the props and goodies. And my outfit! I would highly recommend these stores for the goods listed below. Quick to deliver and respond should you have any questions or special instructions. Thanks again! Shout out to Bre for hooking it up once again with four tickets to the Laker game on Sunday against the Houston Rockets! She doesn’t even work there anymore and is still getting us tickets and good seats. Bre, Kylie, Joe, and I ventured to the game – thanks for driving, Joe (and happy half birthday today). Although the Lakers lost, my Snapchat was winning because I witnessed magic between two G.O.A.T.S. See below. OMG. If you’re in LA or if you ever visit LA, you must try and secure reservations at Bestia. Located downtown, this was some seriously amazing Italian food. It was pricey but worth every penny. Thank you Parker for hooking it up! We went to celebrate Nick’s birthday. Squaaaaa. My real birthday! I did go to work – womp womp. But Chad made my day extra special and had decorated my entire cube on Friday after I left. It was so very sweet of him – thank you, Chaddy! Now after this whole weekend of partying, I truly wasn’t in the mood to do anything crazy or even leave my couch that night. So Megan, Mac, Joe, and I ordered sushi takeout and did exactly that… didn’t leave the couch. Anne and Freddie also came over with some Prosecco – thank you! My favorite. Check out more pics below from the weekend. The talented Nick, whose birthday we celebrated on Monday, is going to edit a video of me from the whole weekend. So stay tuned for that. Thanks again, Neek! Truly from the bottom of my heart, I cannot thank all of my friends and family for making this birthday so special. From Chad decorating my cube to my girls making my silly little Drake party come to life to my mom having ordered from the East Coast two dozen cupcakes for my party and so much more, THANK YOU. And thank you for the gifts (Pelke – that OVO owl card was too thoughtful), messages, letting me play Drake music all day, and accepting my obsession. I am so grateful to have each and every one of you in my life. Now Drake does have a lyric about being 28, so until next year! I realize I’ve been MIA for about the last week, but that’s because I’ve been doing hoodrat things with my friends. JK. Sort of. I have been out and about, so now I have lots to share with you! Ventured to 2nd Street in Long Beach with Chad. I’ve said it before, and I’ll say it again – I thank Chad for making sure I’m never hungover. We ended the night with In-n-Out. SATURDAY | 12.5 | Happy Birthday, Chad! Lots of things to celebrate on Saturday, December 5! I rushed home after the game to get ready to head back down to Long Beach. For Chad’s birthday, we went to this delicious Mexican restaurant called Lola’s. After dinner, we went on a Duffy boat ride in Long Beach and cruised around the marina and canals of Naples. It’s so beautiful during the Christmas season! Chad and I spent the day in Santa Monica. I don’t have any pictures from that, but just know it was filled with Christmas spirit and holiday [window] shopping. We ended the night with Thai food and being sloths on the couch. No work for me! On Monday our administration team took the day off to go on a retreat. We went to lunch and then enjoyed an hour-long boat cruise around the Long Beach marina. And Monday night, two of my roommates, Megan and Rachel, and I went out in downtown LA! I rarely venture there since it’s outside of the South Bay ‘bubble.’ But I’m definitely glad I did! YOLO. Alright, off to more fun things! Time to get my food and drank on with Mackle Meg in Los Al and then up to Santa Monica – living that YOLO life. Megan just text me that, so I found it very appropriate to include in today’s post. Hold Up, Hold My Phone! Good news, people! And especially to you Drake fans. Drake’s OVO brand is getting a FLAGSHIP clothing store in none other than Los FREAKING Angeles! And when does it open? This Saturday, December 5! Where you ask? 130 N La Brea Avenue, LA 90036. It’s probably a blessing that Chad’s birthday also happens to be on Saturday and that I’m going to the Pens-Kings game or else you know I’d be lining up bright and early. And if you can’t ever make it to the store, you can still buy all OVO merch here. Watch the videos Drake just recently tweeted below!